Sharing with you my newest pair of pointed heels from Asos. They are more neon than I had expect from looking at them on the site, but still a beautiful pair of heels. 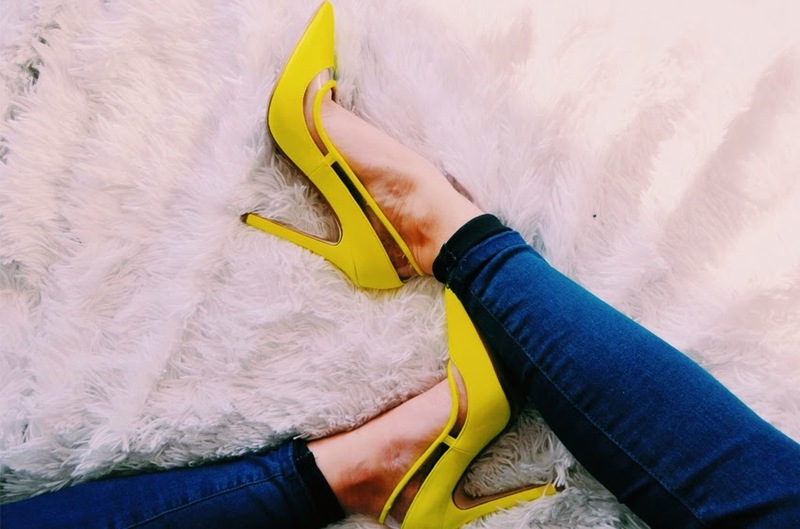 The bright yellow are perfect for Spring/Summer and if Yellow shoes are good enough for Beyonce, there good enough for me.